A Memo for You!? But who are you, really, and of what do you need to be reminded? Of something not so far from each and every one of us? The elephant in the room, perchance!? The truth!? Ahhh—the truth! But what is truth? And from whence is our forgetfulness? There is a myth, dating back at least to the time of Plato, in ancient Greece, that before we are born, we drink from the River Lethe— the river of forgetfulness or oblivion —so that we cannot remember our real origin and destiny which is somehow prior to (or transcendent of) the unfolding of our existence in space and time. It is interesting to note that the Greek word for truth is aletheia which can be construed (quite literally) as that which is “no longer forgotten” or that which “no longer escapes our notice”—that which, if seemingly unknown, must be “remembered” or “recollected” (cf. 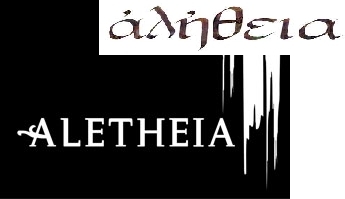 GK aletheia; alethes; lanthano; lethe). For us to arrive at the truth, then, is in some sense to remember that which we have forgotten or to turn our attention to that of which we have, for a time, become oblivious. This is consistent with a very plausible interpretation of an otherwise obscure passage in Ecclesiastes which seems to be saying that “whatever God does endures forever” (3:14) but that He has “put a sense of past and future into [our] minds” such that we “cannot find out what [He] has done from the beginning to the end” (3:11). The veil of time, it seems, renders us oblivious to the true glory and integrity of creation and would seem to be closely related to that which is portrayed in Genesis 3 as the punishment that we incurred after having eaten of the fruit of the tree of the knowledge of good and evil which resulted in our alienation from God, together with the experience of suffering and death which that entails. The predicament we find ourselves in is quite complex, but the solution, as we shall see, is very simple. We need only to turn, in faith, toward the One in whom we live and move and have our being by trusting in and relying on the “I Am” presence which IS the living Christ (cf. Acts 17:27-28; John 14:6).